2. 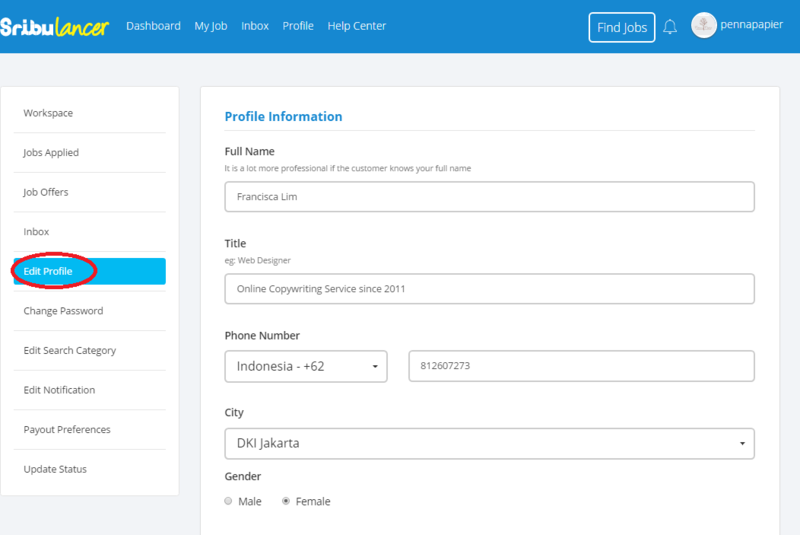 Fill out the profile information that is provided in the space. 3. 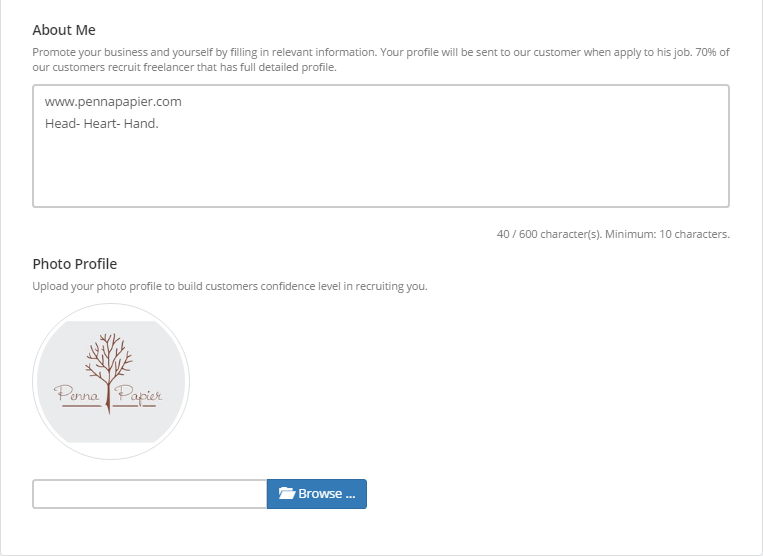 Complete your " About Me" section and " Profile Picture" by clicking the "browse" button to upload your picture. Once you've filled them out, click on the " Save Profile" button. 4. 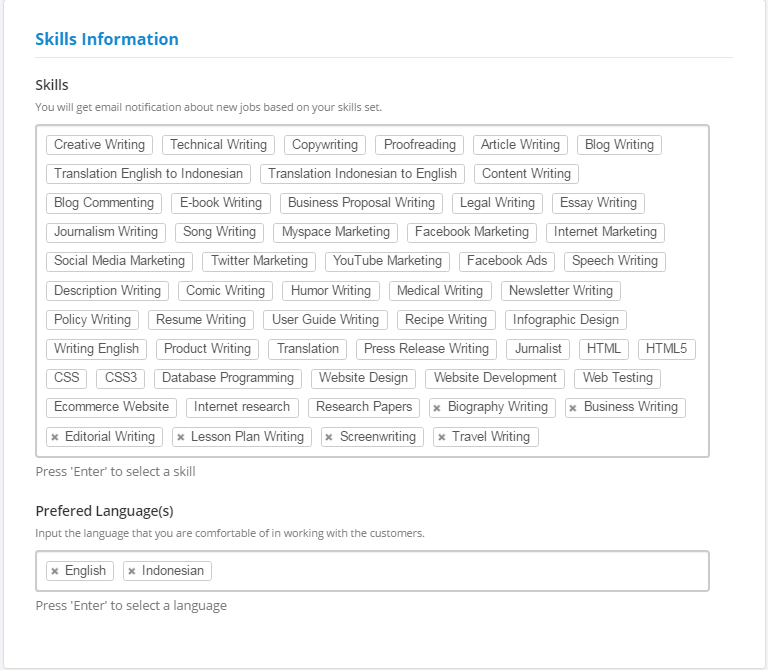 Proceed to your " Skills" that you select from the listed category provided by Sribulancer. 5. Once you're finished, click the " Save Profile" button to store your new profile version at Sribulancer. 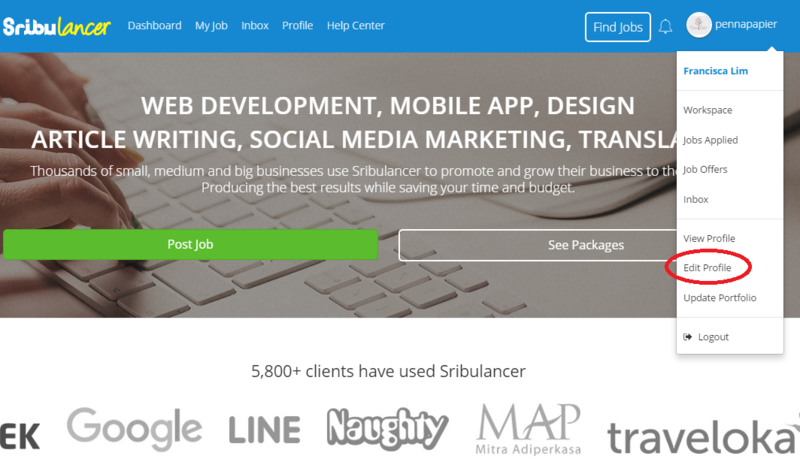 Congratulations, your Sribulancer profile is successfully updated.